RasGas Company Limited is a liquefied natural gas producing company in Qatar. 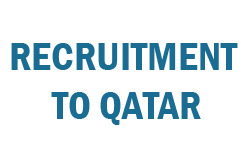 It is the second-biggest LNG producer in Qatar after Qatargas. RasGas operates seven LNG trains located in Ras Laffan Industrial City. 2) EOT Crane Operators, OH Crane Operators. Jasseena Marine Services Pvt. Ltd. Interested candidates send your CV with all documents now.